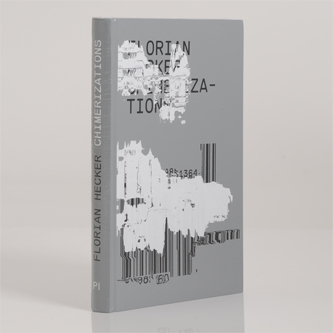 **Florian Hecker presents a typically complex visual and text accompaniment to his most recent major work, 'Chimärisation' for Editions Mego. Includes the original experimental libretto 'The Snake, The Goat and the Ladder (A board game for playing chimera)' written by Iranian author and philosopher Reza Negarastani. 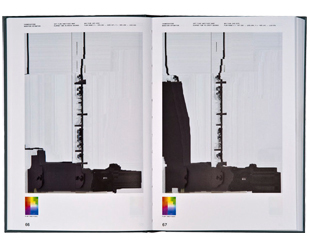 304 pages, 6 x 9" book with 474 colour illustrations, 30 black / white illustrations** "Chimerizations feature a radically new form of documentation of Florian Hecker's sound works that dramatize the phenomenon of Auditory Chimaeras. “Chimeras are integrated bodies that synthesize incompatible modalities, surpassing their respective particularities without fusing them, finding a common ground, or reducing one to the other.” (Robin Mackay) The publication presents the documentation of Hecker’s recent sound pieces (“Magnitude Estimation,” 2010; “Hecker Leckey Sound Voice Chimera,” 2011; “Bregman/Deutsch Chimera,” 2011; “Chimerization (MIT Project),” 2011 “Chimerization” 2012; and “Hinge,” 2012); The images, installation-reference and productions stills, have been altered by Hecker using a Sift Flow Algorithm. 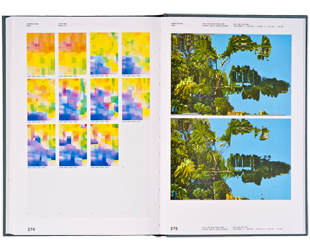 The result is varied and idiosyncratic, with the same image undergoing multiple translations, effectively creating a visual parallel to the chimeric phenomenon produced in the sound works they document. 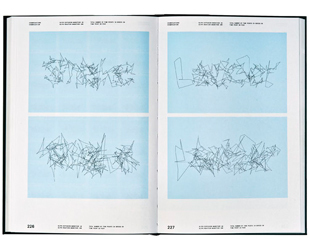 Included within this selection are the two texts that the philosopher Reza Negarestani has contributed to “Chimerization” and “Hinge”.The libretto Negarestani produced for “Chimerization (MIT Project)” and “Chimerization,” is set in a partly legible, decomposed and restructured typography programmed by Ben M. Jordan in 2 × 99 different fonts. A detailed typographic specimen of the macro and microstructure of this special typographic transformation is featured as well. 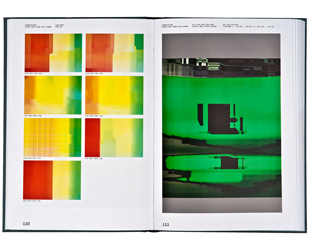 Chimerizations is introduced with essays by Stefan Helmreich (Professor of Anthropology, MIT), and Catherine Wood (Curator, Tate Modern) and has been designed by NORM, Zurich."